We have a full line of products that will take care of any of your commercial, industrial, or personal needs. 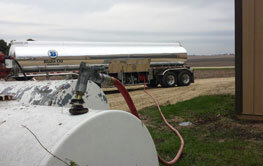 Information and the uses and delivery of our custom-blended 100% soy - diesel alternative fuels. 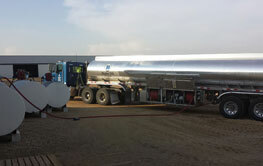 Blake Oil offers many fuel delivery services to keep your vehicles and machinery running smoothly. We make all of our own deliveries and guarantee complete customer satisfaction! Blake Oil distributes Schaeffer Oil’s high quality lubricants that will keep your equipment running and your costs low. Our soy-blended diesel and other biofuels support the American farmer by only blending our own high-quality bio-diesel from American-grown soybeans. Browse our online shop! Check out our range of popular products for your trucks, construction equipment and agricultural machinery. 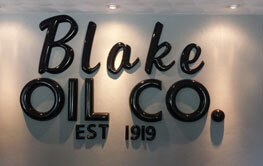 Established in 1919, Blake Oil Company has been offering professional fuel and lubricant delivery services to Kirkland, Rockford and all other communities across North-Central Illinois for four generations. Come to us when you need fuels or lubricants to keep your agricultural, construction or trucking business working. Our honest and old-fashioned business approach makes our customers' needs and successes our top priority. We guarantee high-quality products, fair prices and complete customer satisfaction. Oils and Industrial Lubricant Service - Distributor of Schaeffer specialized lubricants. We have a full line of products that will take care of any of your commercial, industrial or personal needs. Marathon lubricants are available as well. See our alternative fuels page for more information on our custom blended bio-diesels. 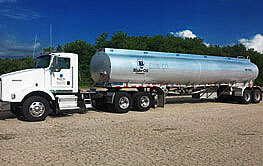 Contact Blake Oil Company today at 815-522-3521 to schedule your fuel delivery.